Space is limited — Register Here. Please join us for a one-day conference about the critical and diverse ways that parks, forests and other open space support human health and wellness, children’s development, resilience, stronger communities, sustainability, and quality of life. Nancy Wells, an environmental psychologist at the Cornell University College of Human Ecology, will be the keynote speaker to lead discussion about nature’s benefits for human health, children’s well-being, emotional resilience and social connections. Simon Gruber, founder of the Growing Green Cities project, will introduce the conference and describe connections to water, energy, community development and sustainability. Other featured speakers will include Laurie Seeman, Founder, Director & Lead Artist and Educator, at Strawtown Studio, which provides learning experiences that connect young people with the natural world through art and science discovery; Kerry Kopf and Amanda Merritt, educators in the Young Naturalists pre-school program at the Hudson Highlands Nature Museum; Alan Levin at Sacred River Healing, a licensed marriage and family therapist who integrates psychotherapy with perspectives on ecopsychology and many spiritual traditions; and Lindsey Melki, an Army veteran and volunteer with the Sierra Club Military Outdoors program who leads other veterans on outings including weeklong immersive nature experiences and shorter programs. This conference will be useful for educators, planners, health and wellness professionals, landscape architects and other design professionals, and others working on issues related to children’s health and education, community development, and planning for energy, water, sustainability, climate adaptation and environmental conservation. This program is sponsored by Growing Green Cities, a project of the Open Space Institute led by Simon Gruber, funded in part through a generous grant from the Wright-Ingraham Institute and with support from the Hudson Highlands Nature Museum. 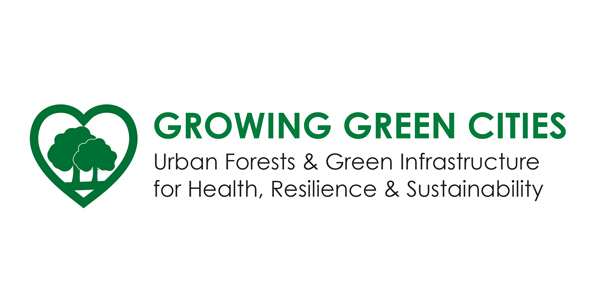 Tax-deductible donations to support this work will be gratefully accepted – please visit this page and be sure to write “Growing Green Cities” as the organization name for donations.